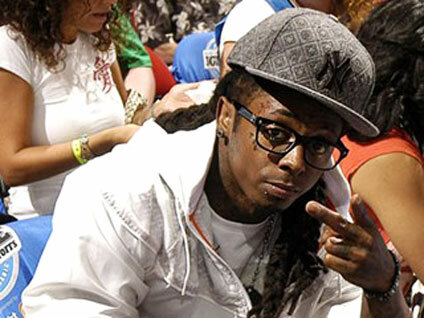 NEW YORK (CBS/AP) Lil Wayne is facing the music after being accused of breaking jail rules by having gear for listening to tunes: He can expect to go solo for the rest of his time behind bars in a gun case. The rapper was moved Monday into what city jail officials call "punitive segregation" for a month, until his expected November release, jail spokesman Stephen Morello said. It's his punishment for hiding a charger and headphones for a digital music player in his cell earlier this year, according to officials. Lil Wayne generally will now be confined to his new cell 23 hours a day, with such exceptions as visits and showers, instead of being allowed to mingle with other inmates most of the day. He'll eat in his cell and won't get to socialize even during his hour a day of recreation, Morello said. Lil Wayne also will have to let go of TV, and he'll be limited to one phone call a week instead of a chat a day or more, except for calls to his lawyer, according to Morello. The lawyer, Stacey Richman, had no immediate comment. The 28-year-old rapper, one of the genre's biggest stars, has been held since March in the Rikers Island jail complex. He pleaded guilty in October 2009 to attempted criminal possession of a weapon, admitting he had a loaded semiautomatic gun on his bus in 2007. He got a one-year sentence but is expected to serve eight months because of time off for good behavior, despite the music player episode. Officials said the headphones and charger were found in May, tucked in a potato chip bag in a garbage can in the rapper's cell. The items are considered contraband, as inmates can listen to music only on radios and headphones sold at the jail commissary. Officers said the music player itself turned up in another inmate's nearby cell. Both men were charged with infractions that weren't crimes and were subject to a jail disciplinary process, not a court. Information on the other inmate's punishment wasn't immediately available Monday. Lil Wayne's penalty was within norms for his infraction, Morello said. "Possession of contraband is serious," he said, though not as grave as violent offenses or being caught with a weapon, for example. Born Dwayne Carter, Lil Wayne had the best-selling album of 2008 with "Tha Carter III," which won a best rap album Grammy. As he faced incarceration, he told Rolling Stone he planned to keep up the beat behind bars. "I'll have an iPod, and I'll make sure they keep sending me beats," he told the magazine for a February story.